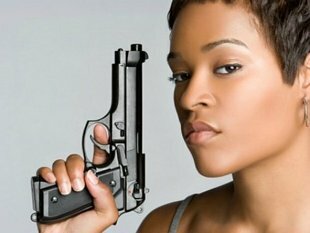 It doesn't take a gun to kill a relationship. We always hear about the foods and chemicals that quietly erode our health. But, while we don't hear about them as frequently, there are similarly dangerous threats to our relationships. The sooner you identify any of these five things in your relationship, the better your chances are of saving it. 2 . You cling to mistakes your partner made in the past, even though he/she is working hard not to repeat them. I often share this quote with clients as it sums up perfectly the futility of clinging to grudges and old grievances: "Resentment is like taking poison and waiting for the other person to die." It's one thing for your significant other to keep making the same, disrespectful mistake over and over. However, if genuine and consistent steps to change following a sincere apology have taken place, take your hands off the wheel of grievances that will only spin you both into a ditch. When you pin your partner to their past mistakes and don't honor their efforts to grow, you punish them unfairly and may be dooming your relationship in the process. 3. You or your partner shows signs of depression but aren't seeking help. During my career as a therapist, I have seen more relationships destroyed for this reason alone than perhaps any other. We wouldn't think twice about going to the E.R. for a broken arm and yet, because many of depression's symptoms are invisible - sleep difficulties, lack of energy, sadness, feelings of worthlessness/hopelessness, and anger - we dismiss, neglect, and/or deny them. Stress from work, the loss of a job or loved one, illness and past traumas can all take a heavy toll. Don't fool yourself. Untreated depression distorts our perception, our sense of hope and possibilities and causes us to act and react in ways that can be profoundly destructive. If you or your partner have been showing signs of depression for more than one month, seek support now in your local community. Find a therapist, talk to a trusted doctor and don't rule out a medication evaluation if symptoms persist. 4. You're defensive and stubborn when your partner gives you constructive criticism. Unless the space is filled with mirrors, you can see everyone but yourself when you walk into a room. When your partner points out something to you that is irritating or hurtful, do you typically take it seriously or respond like a kindergartner might? Do you find yourself saying things like, "Well, you do that too!" or "No, I don't!" If yes, cut it out. Instead, take a deep breath, consider if there is truth in any aspect of what your partner is saying and accept responsibility. Stop giving feedback if you aren't willing to hear it in return and make real changes. 5. You expect perfection from your partner rather than remembering we are all perfectly imperfect. Learn to pick your battles wisely. We can't get everything from one person nor can they from us. We've all been on the receiving end of being around someone with whom it feels you can do nothing good nor fast enough. Lighten up where you can, both with yourself and your partner and this alone will create fresh air in a relationship that is feeling smothered under the weight of unrealistic expectations.